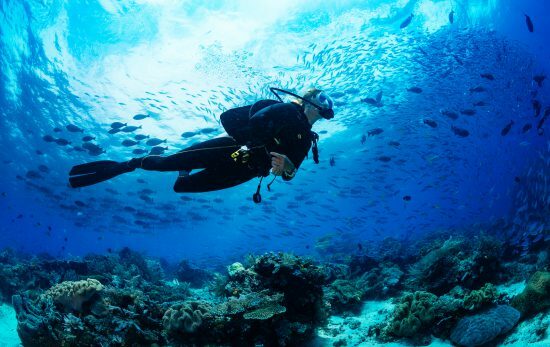 Scuba Junkie Komodo are dedicated to marine conservation and protecting the environment. So when they saw the opportunity to take their efforts further, they decided it had to be done. We asked the team a few questions about Marine Week, their week-long initiative to bring marine conservation to the forefront of people’s minds in Indonesia. How did the idea for Marine Week come about? Rohan Perkins and Carys Fox Perkins, Directors of Scuba Junkie Komodo, first started Marine week at the Malaysian Branch of Scuba Junkie. It is a week that exists to raise awareness about the problems that face our coral reefs and marine life that we love so much. 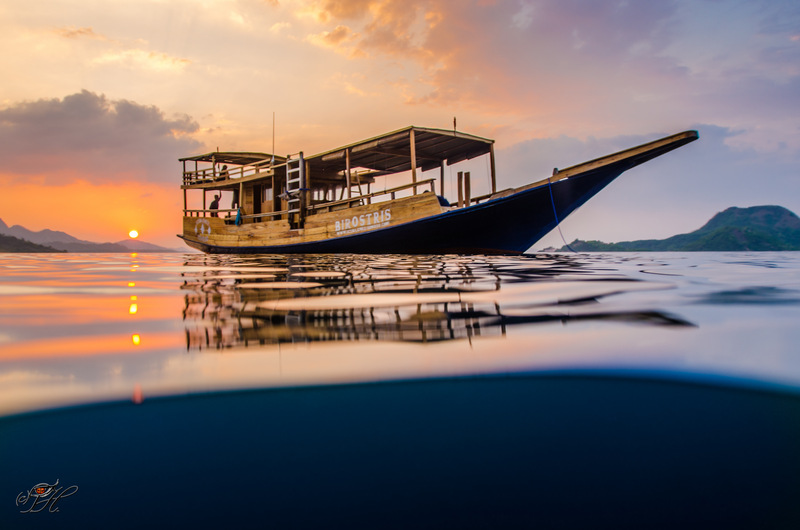 Conservation and protecting the marine environment is something are constantly working on at Scuba Junkie Komodo, and Marine Week provides an opportunity to bring various organisations together with a common goal. We want to raise awareness and promote education about the challenged facing our marine environment. We aim to tackle these problems locally – though we know they are, unfortunately, a world-wide issue. Throughout the year we have several ‘Marine Weeks,’ each with a different focus – sharks, turtles or marine debris (which was the focus of the December 2016 week). 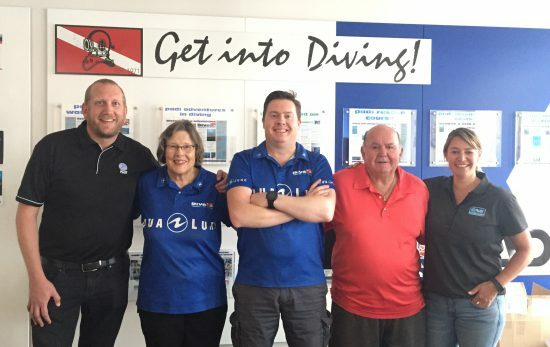 As a PADI 5-Star Dive Centre, we recognise the important role we play as ambassadors for the underwater world and the responsibility we have within the community. 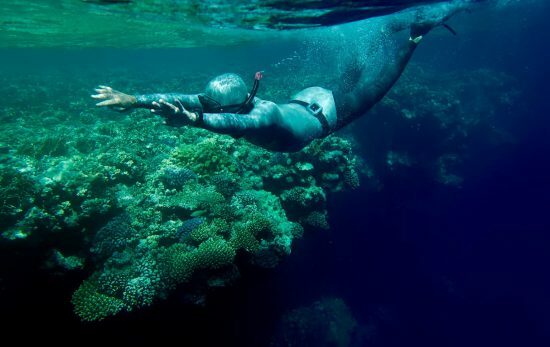 Not only do we wish to showcase the stunning reefs in the area, but we must also work to protect them. The original Marine Week in Mabul was a great success. 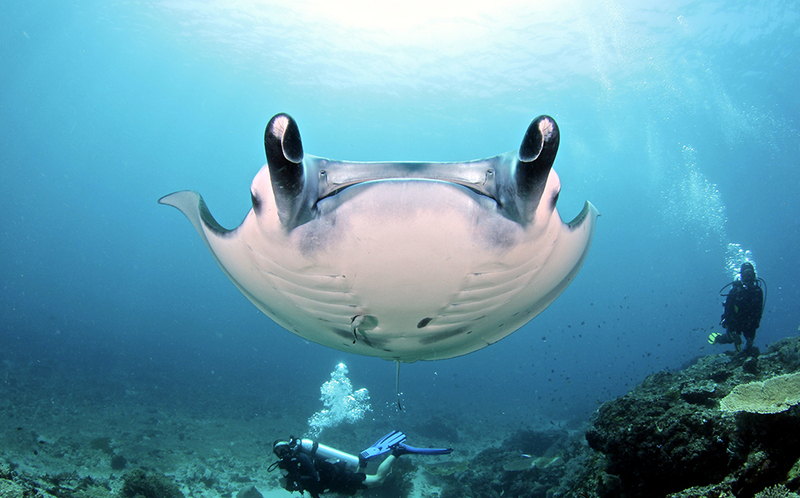 It brought dive centres together to get the community involved in conservation. Based on this success, we brought Marine Week to Komodo in December 2016. We were thrilled by the amazing involvement! By creating an environmental themed week, we hope to continue raising awareness, inspire more people to get involved and educate people about why it is so important. 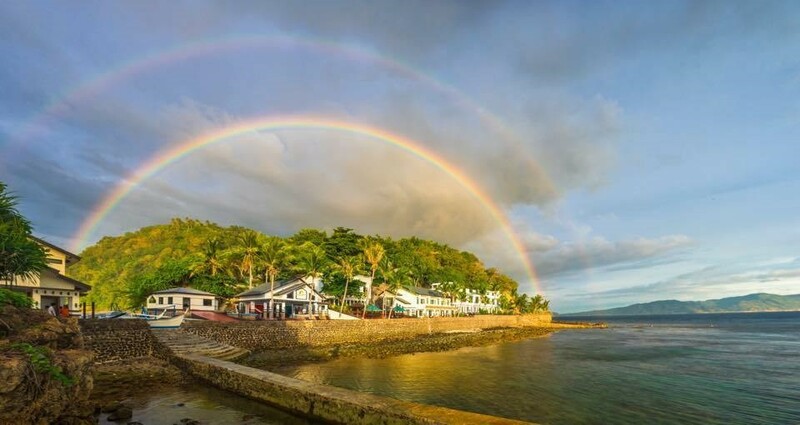 We have day time activities like beach and reef cleans, English lessons and educational snorkel trips as well as evening presentations and documentary screenings that highlight the challenges facing our marine world. 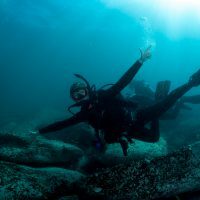 Why is marine conservation so important to Scuba Junkie? There are so many reasons that marine conservation is so important to everyone at Scuba Junkie! The marine ecosuste, os delicate and complicated, and, importantly, essential to all life. Unfortunately, it’s under serious threat from many things – one being marine debris. Dead whales are being found with stomachs full of plastic, as are turtles and sea birds. Photos of manta rays and whale sharks swimming amongst plastic are popping up all over the internet. By working with the community, we can help spread awareness about how dangerous this is. It’s great to see future generations getting involved in Marine Week. What is your hope for them? By getting younger generations involved in our Marine Week, we hope to inspire them to become PADI Divers and ambassadors of our oceans – something our oceans desperately need. Education is crucial to conservation. 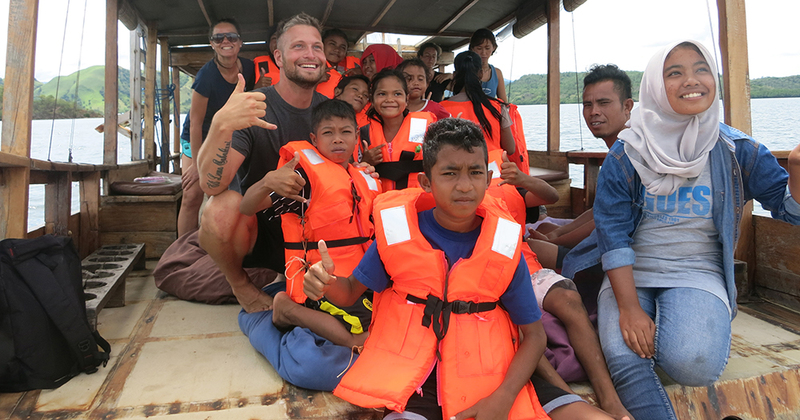 Showing these children their first manta rays was incredible – they loved it! We brought them back to the resort and gave them an English lesson. They were buzzing, and talking about how to start their PADI training. We currently have interns who we’ve supported through the PADI Divemaster course. Some came to us with no qualifications, just a passion for the underwater world. By training with Scuba Junkie, we’ve taught them the importance of the underwater world, and guided them in how they can protect it. If the children who participated in Marine Week were interested in this (once they are old enough) we would support them too. Tell us about some of the highlights from Marine Week. The highlight of the week was definitely taking the kids out snorkelling! It was a crazy day – there was so much energy on the boat! Despite the fact that these kids live on the edge of the Komodo National Park, non had been there before. For many of them, it was their first time snorkelling, and they got to see mantas! They absolutely loved it, and we hope that now they’ve seen these majestic creatures they will help us to protect them and become the ambassadors the marine world needs! We also did several beach cleans and Dive Against Debris events during the week. We didn’t find anything unusual, but what was so shocking was the number of plastic bottles we found. It was really sad to see as it can so easily be avoided. We are very fortunate not to have a serious issue with marine debris here, especially compared to some other areas. Sadly though, if the programs that we and other support do not take hold, we could find this changing in the future. What is your message for anyone who wants to help protect the ocean planet? The smallest thing can help! You don’t have to make a huge change in your life. A reusable water bottle is a small investment and makes a really big difference! 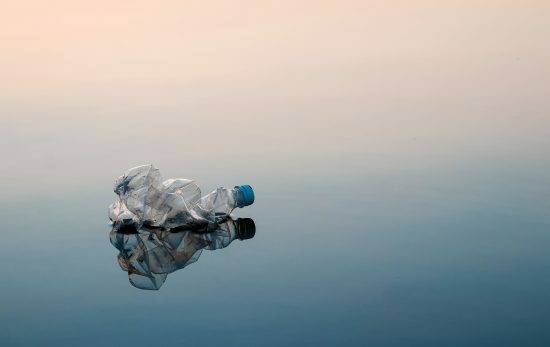 In Labuan Bajo and many places around the world, cafes and restaurants will offer free refills to those with reusable bottles. 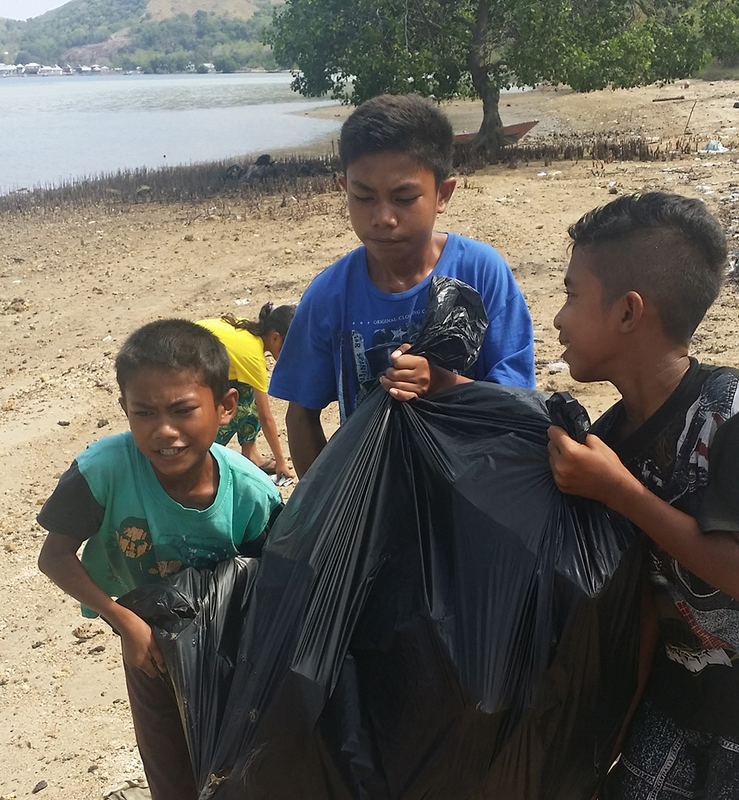 We’re luck to have a good recycling program in Labuan Bajo,however what is most important is reducing the amount of plastic used in the first place. Saying no to plastic bags, straws and water bottles makes such a difference. They’re the items we most frequently encounter when doing Dive Against Debris and beach cleans.